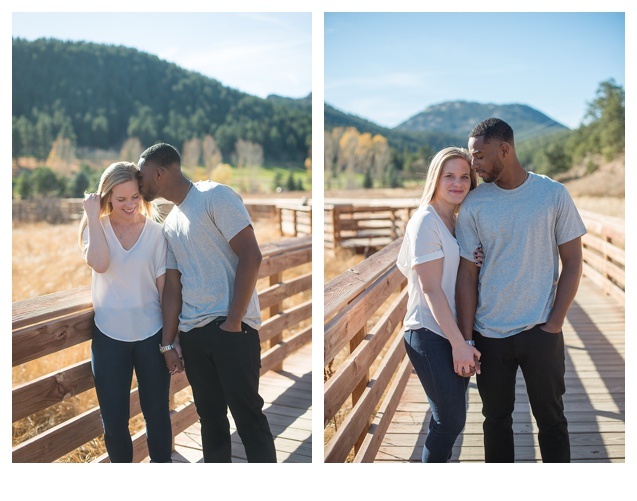 I had so much fun photographing Michelle and Brandon’s Evergreen engagement session. These two compliment each other so well and this wedding is going to be a blast! We shot at two great spots in Evergreen the Lake House and Lair O’ the Bear Park both were beautiful! Michelle and Brandon love their two sweet dogs so much they wanted to bring them along for the session. Michelle had a few signs made for them to wear one displaying their wedding date for save the dates and one saying my humans are getting married! They were so cute even if they didn’t want to wear them. Even though we waited until the end of October to do their engagement session the afternoon still had a great fall feel. They kept things simple and just brought along the dogs but it was really all they needed they were very easy to photograph. 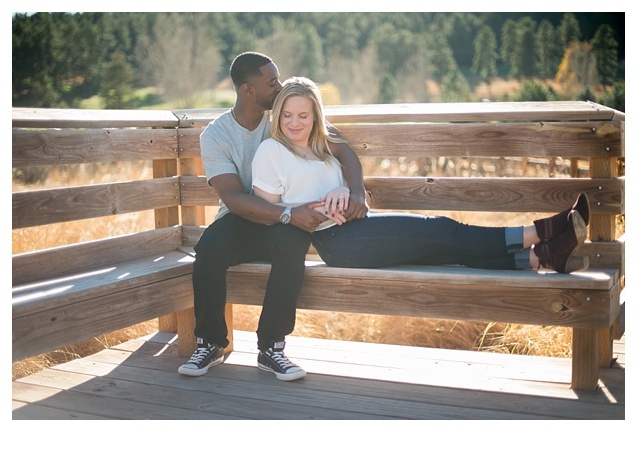 Michelle and Brandon will be getting married in June of this year and I am really looking forward to it.